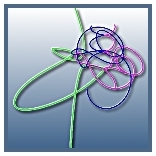 The purpose of this website is information and education regarding computer simulations of the N-body problem. For more about the N-body problem, please take a look at the home page or at the introduction page. All the material on this site is the property of Dr. Sverre Aarseth unless otherwise stated. For comments and questions about the simulations you are welcome to get in touch using the feedback form provided. 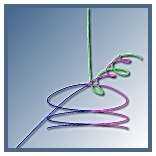 The N-body code is the work of Dr. Sverre Aarseth, Cambridge University, UK. 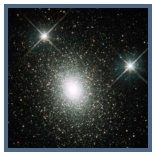 The Triple implementation is by Ian Hunter from the Cambridge Astronomical Association, Cambridge. The translation of FORTRAN to Java for the simulation engine was done using F2J by Dr. Keith Seymour, Sr. Research Associate, Department of Computer Science, University of Tennessee. The graphical interface uses the package Vector Visuals written (and adapted for us!) by Brandon Franklin of Thought River South, Australia. The simulation images come from Sverre Aarseth's three-body code. The screen captures come from the java implementation. The photographs are taken from the NASA Space Telescope Science Institute's library of images released in the public domain.